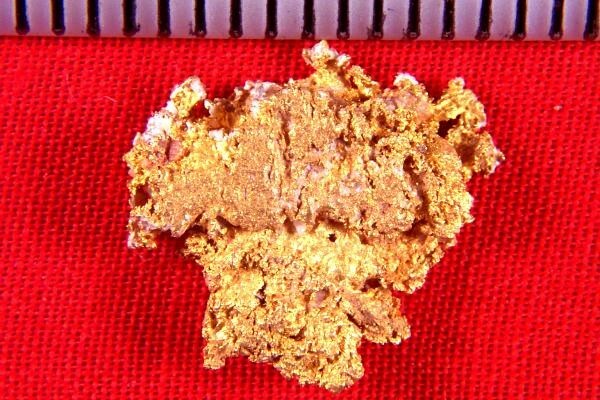 Reef Gold Nugget from Australia - Very Rare - - It's Free! Reef Gold Nuggets are found in old quartz reefs in Australia. It is very rare to find this type of gold in any quantity so we only have a few pieces of it. This one weighs 3.8 Grams (59 Grains) and is 5/8" long x 5/8" wide x 1/8" thick. 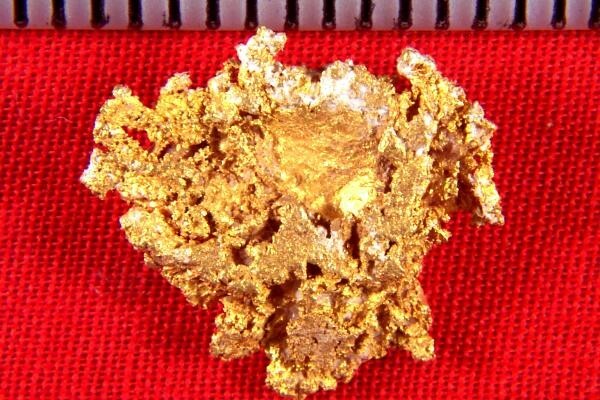 Rare gold nuggets like this are prized by collectors and investors. Australian Reef Gold Nuggets are crystalline gold with a very high purity. The color and texture are very pleasing. Collectors love this type of gold due to it's rarity and beauty. We only have a couple of pieces left, so you will want to get one or more of these specimens while you have the chance.